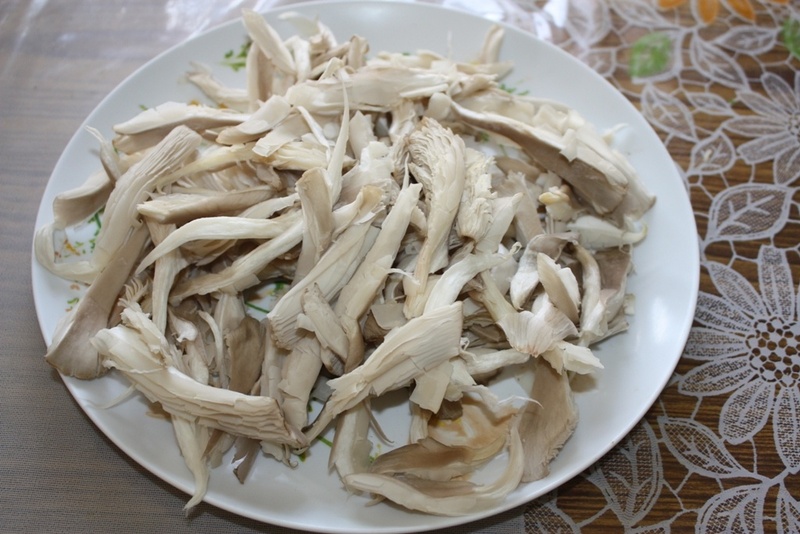 Clean the mushroom and shred them into pieces. Heat oil in a pan. 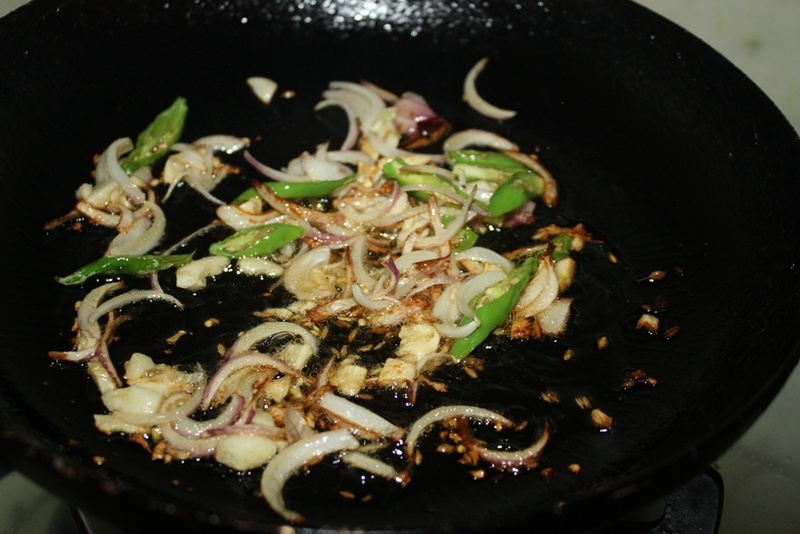 Add the cumin seeds and the sliced onions, garlic and green chillies. 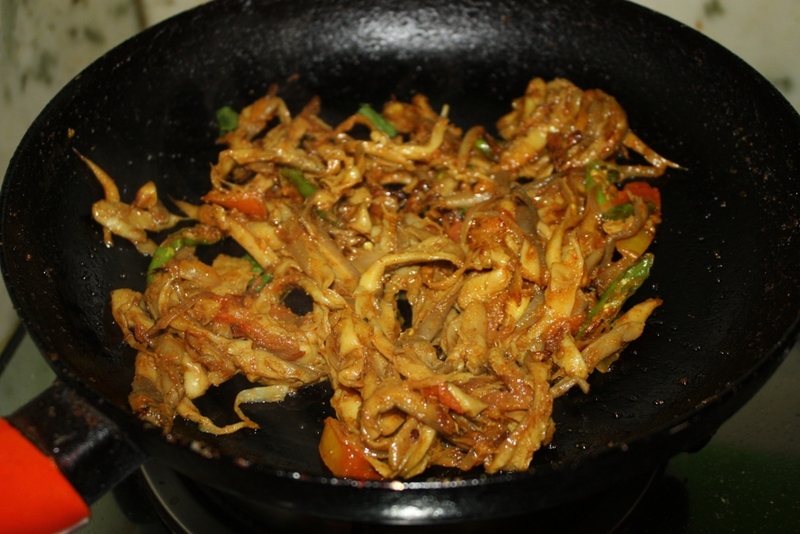 Fry for about a minute, till the onions are golden brown. Add the shredded mushroom and mix well. 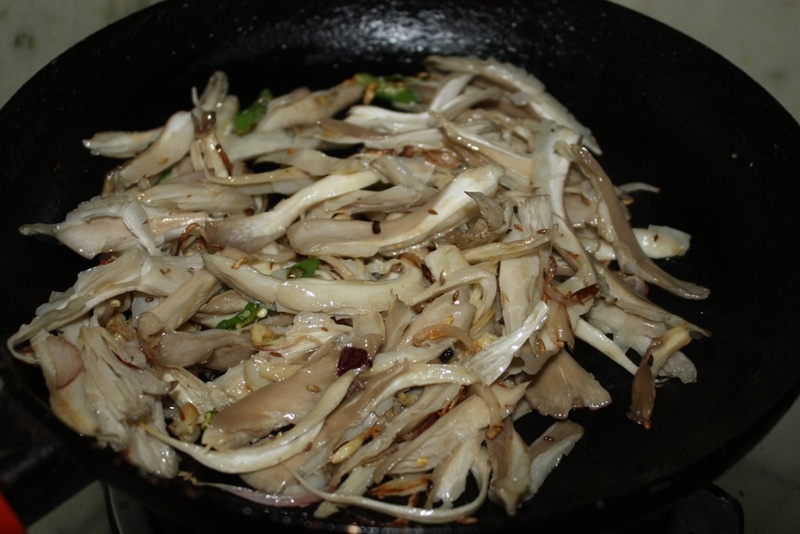 Mushrooms should be cooked on high heat so that it does not lose a lot of water. Stir fry on high heat for about 2-3 mins. Add the sliced tomatoes, salt, chilli powder, turmeric, coriander powder, cumin powder and fry for another minute, so that the spices mix well and the tomatoes become slightly tender. Mushrooms should never be over cooked. Switch off the heat. Mix in the Timmur/Schewan Pepper and serve hot. 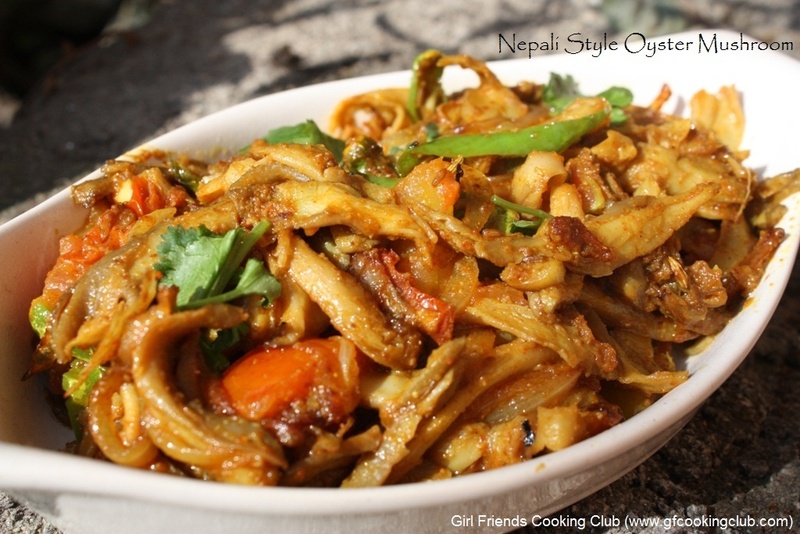 This entry was posted in All Recipes, Nepali Food Recipes, Vegetables and tagged Nepali Recipes, Nepali style mushrooms, Oyster Mushroom by Kamakshi. Bookmark the permalink. 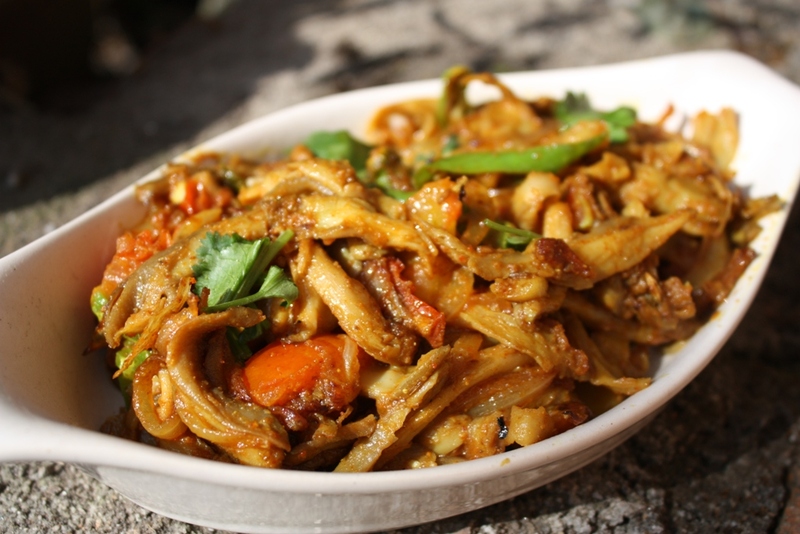 This was just delicious with some roti and saffron rice.